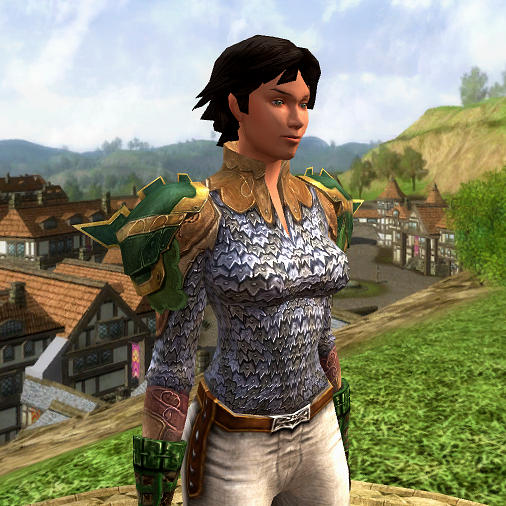 Gwaewen changed to a lighter color scheme and swapped blue for green when she moved from the North Downs on to Evendim. 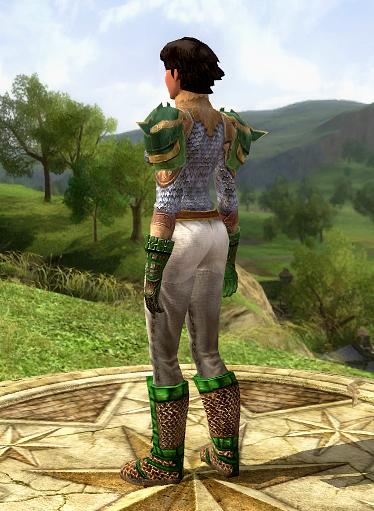 I switched the boots to a pair of Sturdy West-Lands Boots of Vibrance, dyed dark green, when I found them on the auction hall. 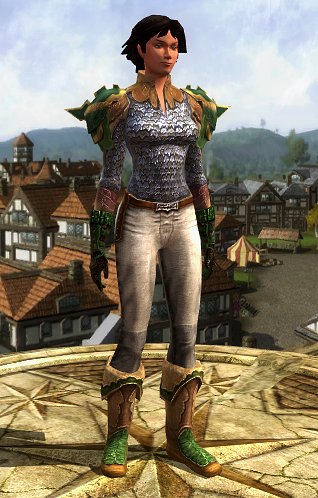 They’re L38 heavy crafted boots. 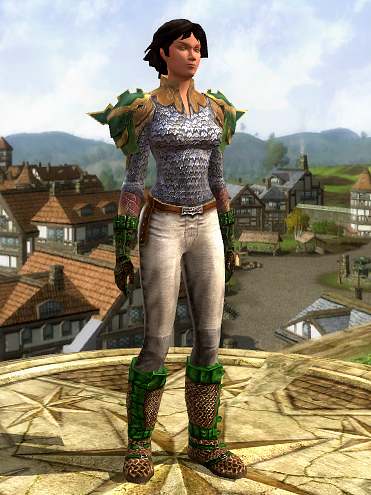 This entry was posted on 2014.03.21 by vyh in Outfits and tagged cosmetics, green, guardian, gwaewen, heavy armor, lord of the rings online, lotro, outfits, silver, white.